Hello everyone, I'm Hedgehoglover, otherwise known as Clara. I don't really take many Hedgehogs in, because I was to learn as much as I can about them first. But if I do see one I'll take it in anyway. At the moment we have one Hedgehog in our care, one which we are over wintering, thanks to the websites advice. 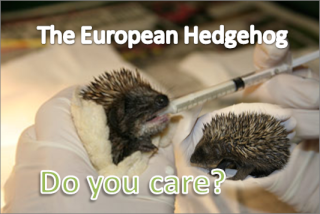 I look forward to hearing from other people who care for Hedgehogs as well! Hello and welcome to the forum. Thank you for your kind words. I look forward to hearing from you too. Nice to meet you!! I wish you lots of luck your spiky friend! I like the forum! Nice colours, eh? I know where to come if I need any help (Beth & Trish)!